Ever since its debut, iCloud is one major part of iPhone and iPad operation. Basically any Apple device that works on an Apple OS is integrated with iCloud these days – and it’s a good thing. Majority of Apple users tend to love the iCloud’s cloud storage space, and also the security features it offers. iCloud also keeps track of every app downloaded and installed on an iOS device. The free apps don’t really matter much, but the contents that are purchased from iTunes needs to be tracked because when an iOS user resets their devices, these apps should be available for download without making payments again. A list of apps and contents are stored in each user’s iCloud account, they don’t occupy space but the content name stays in a list which couldn’t be deleted. What if you purchased an app and you don’t want it anymore; even in your iTunes list? We explain in this article how to get rid of an app title from an iCloud account & remove the app from the purchase history in App Store. Could you Really Delete Apps from iCloud Account? Well, the most honest answer to this is ‘no’. You can’t really delete an app from the iCloud list but you can hide the app’s name so that it doesn’t show unless you unhide it again. We describe the process of hiding an app in iCloud if you don’t require it anymore. Open the App Store in your iOS device. From the bottom bar, find Updates and then go to Purchase. A list of purchased apps will populate. If you have purchased a lot of paid apps, the list might take some time. Also, open iTunes in your Mac or Microsoft Windows computer. Open the Store in iTunes and find Purchase from the right side of the window. The purchased app list will populate, those who have a lot of paid apps this list could take a while. Click on ‘Apps’ in the iTunes PC interface. Only the purchased apps will be shown in a list. Once you hover the mouse over those apps, a cross (x) icon would show up in the top left corner of each app. To hide an app from the apps list, simply click on the cross icon and it should do the job. The same operation could be done using the iOS interface of App Store as well. Navigate to the purchased apps and find the cross button to erase it out off the list. The procedure is slightly different, because instead of a tap or a long press you have to swipe the app to the left to find the ‘hide’ button. 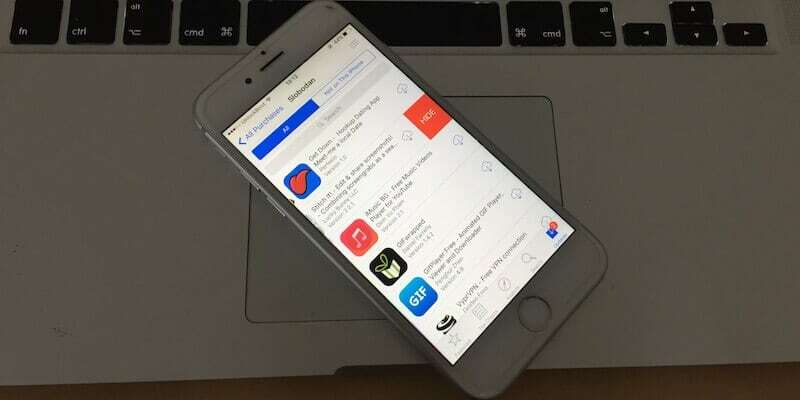 How to Unhide App from iCloud Account? To find the hidden apps, simply scroll down to the last portion of any tabs among Features, Categories or Top 25. Tap on your Apple ID at the bottom and unhide the app you want by tapping the Unhide button. Conclusion: Hiding and unhiding apps on iCloud is quite easy. However, one can’t delete an app’s name from this list for good.